The name osteoarthritis comes from three Greek words meaning bone, joint, and inflammation. Indeed, as the National Institute for Health and Care Excellence (UK) writes, Osteoarthritis is characterized by localized loss of cartilage, remodelling of adjacent bone and associated inflammation (1). Cartilage is the connective tissue at the end of our bones which cushions joints and allows for smooth movement. The most commonly affected joints are the knees, hips, small hand joints and spine. 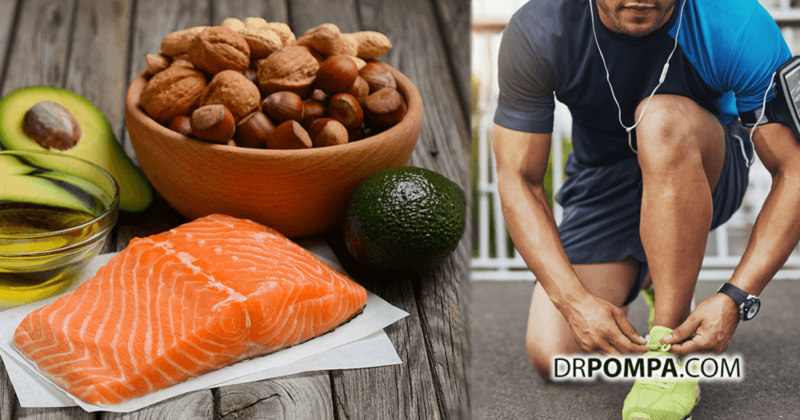 Some of the factors that reduce our body’s repair mechanisms, and predispose us to the development of osteoarthritis are dietary insufficiencies of the joints’ building blocks, low grade inflammation and genetics (3). 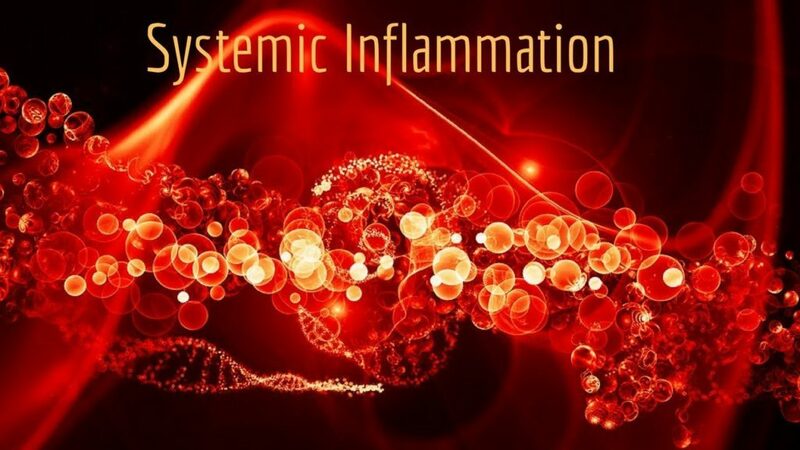 Despite osteoarthritis traditionally having been classified as a non-inflammatory arthritis (compared to the highly inflammatory rheumatoid arthritis, for example), it is now becoming increasingly recognized that low grade inflammation of the entire body is, in fact, also underlying osteoarthritis (1). 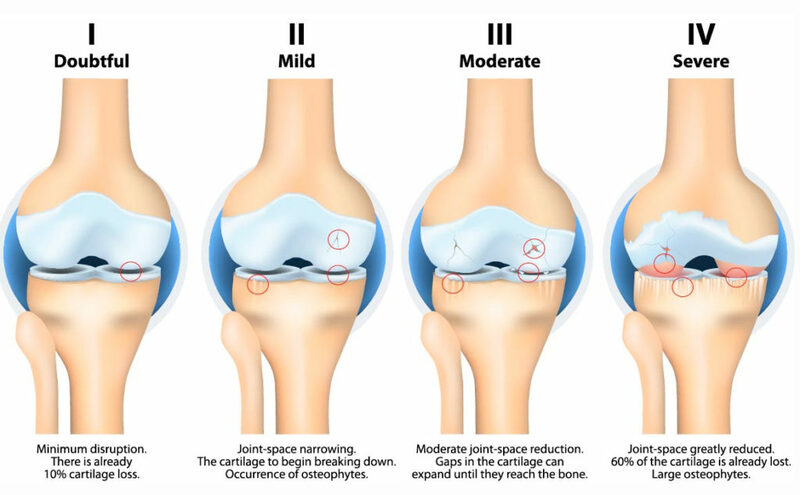 This prolonged low grade inflammation of the joint’s connective tissue can completely destroy the cartilage, and in some cases, lead to the formation of bony spurs or cysts in the joints which destroys mobility and creates symptoms including joint pain, bony lumps & discomfort (2) . Although it is difficulty to reverse the damage done to the joints once it has deteriorated to the point that bone spurs have started forming, prevention, slowing of progress before bone formation, and reduction of symptoms is possible (3). With functional medicine, we look at the underlying causes and aim to correct these. In the case of osteoarthritis, our main goals are to find the source for, and treat the chronic low grade inflammation, nutrient deficiencies that prevent the joint from healing itself, and balancing joint overuse and maltracking with manual and physical therapy tools. Transition to an anti-inflammatory lifestyle – Slowly remove inflammatory foods such as wheat, other gluten containing foods, trans-fats, synthetic foods and excessive sugars from your diet. Replace with a wholefood diet filled with leafy greens, colorful vegetables, nuts, seeds, quality protein and nourishing fats. Focus specifically on boosting your intake of omega-3 rich foods such as organically farmed or wild-caught salmon, organic and grass-fed beef, chia seeds, hemp seeds, flax seeds & walnuts. Hydration – Best is pure, filtered water, drunk out of glass or stainless steel bottles or cups. Avoid plastic bottles as they inflame your body, disrupt your hormones (6) and harm mother nature. Cartilage building foods: Cruciferous vegetables – Broccoli, cabbage, kale and the like are not only great for detoxing your body, they also contain compounds necessary for the building of healthy joints. Add some in daily, ideally lightly cooked or steamed for the best nutrient absorption. Heal your gut – A gut imbalance has been shown in numerous studies to create low grade inflammation throughout the entire body. Add in gut healing foods such as fermented goodies (sauerkraut, kimchi, kombucha), prebiotics (vegetables, cooked and cooled potatoes), butter and avoid gut damaging processed sugars, synthetic additives and trans fats. Cook with healing spices – Add turmeric, ginger & cayenne pepper to your meals whenever possible. These spices contain potent anti-inflammatory components which help to reduce inflammation. Ginger – Ginger is a powerful anti-inflammatory and is effective at reducing pain and inflammation associated with osteoarthritis (9). Clinical trials indicate that ginger extract and ibuprofen were identical in efficacy in the treatment of pain (10). Vitamin C rich foods – Consume foods rich in vitamin C daily or use a wholefood supplement. Vitamin C is a powerful antioxidant and is essential for collagen production in the body. Consuming a diet rich in vitamin C can prevent accelerated joint damage in osteoarthritis, as well as protecting against free radical damage (11). Food sources include aloe vera juice, blackcurrants, broccoli, brussels sprouts, citrus fruit, guava, parsley, pawpaw, strawberries and tomatoes. Chondroitin – Take 150 mg of Chondroitin, twice daily. Chondroitin works by reducing inflammation and inhibiting cartilage degeneration. It is effective in the relief of pain and improvement of function in osteoarthritis, while exhibiting low adverse effects (12). Glucosamine – Take 500 mg of glucosamine sulphate, three times daily. Glucosamine can provide excellent pain relief for osteoarthritis sufferers and its long-term use can also prevent the need for joint replacements (15). A recent study found the dosage prescribed above was more effective than ibuprofen for pain relief associated with osteoarthritis (16). Willow Bark – Willow bark has long been used traditionally for its pain-relieving properties and has been shown to reduce pain in osteoarthritis patients(17). Please ask your health practitioner for supplementation advice for this. SAM-e (S-Adenosylmethionine) – Take 600 mg daily. SAM-e promotes the synthesis of proteoglycans, which are important proteins for connective tissue regeneration(18). Clinical trials suggest that SAM-e is as effective in osteoarthritis sufferers as NSAIDs for both pain control and functional improvements and has less side effects (19). However, as SAM-e can create anxiety in genetically predisposed individuals. Make sure to discuss this one with your health care practitioner before use. Devil’s Claw – Devil’s claw has anti-inflammatory and pain relief properties which aid in the treatment of inflammatory conditions such as osteoarthritis. It provides beneficial treatment for the relief of pain in musculoskeletal conditions (20). Consult your health practitioner for supplementation advice. There is often a poor link between changes on X-rays and symptoms. Minimal changes can be associated with a lot of pain and modest structural changes to joints often can occur without with minimal accompanying symptoms (1). We can therefore greatly influence healing and symptoms by applying body and mind techniques, reducing pressure placed on the joint and changing our perspective. Restorative Exercise – Activities such as gentle exercise, yoga, tai chi, walking and massage are used to improve mobility, restore function and reduce pain (22). Cartilage naturally doesn’t have much circulation. Picture it like a sponge. You have to wring it, to then soak up surrounding fluid again. This is how cartilage works, too – it needs gentle movement to squeeze out debris, and soak up nutrients. However, please remember to be gentle during painful periods. Hot & Cold Therapy – Take an ice bath or infrared sauna twice a week. Both hot & cold therapy are used to reduce pain and minimize the impact of joint inflammation in arthritis patients(24). Try an ice bath to enjoy the above benefits plus increased alertness and improved circulation. An infrared sauna also offers the additional benefit of detoxification & relaxation. 5. Antioxidants and Osteoarthritis. Systems Biology of Free Radicals and Antioxidants. 2014: 2997-3026. 7. Int J Rheumatol. 2011; 2011: 969012. 8. Int J Rheumatol. 2011; 2011: 969012. 9. Pain Med. 2011 Dec; 12 (12):1808-18. 10. Comparing the Effects of ginger (Zingiber officinale) extract and ibuprofen On patients with osteoarthritis. Archives of Iranian medicine. 2005; 8. 11. Rheumatology 2007; 46(8): 1223-1233. 12. Cochrane Database Syst Rev. 2015 Jan 28;1: CD005614. 13. Alternative Medicine Review. 2003; 8 (4). 14. Annals of the Rheumatic Diseases. 2013, Sept.
15. Osteoarthritis Cartilage. 2008 Feb; 16(2): 254-60. 16. J Res Pharm Pract. 2013 Jan-Mar; 2(1): 34–39. 17. Arthritis Research UK. 2017. 18. The American Journal of Medicine. 1987, Nov; 83 (5): 60-65. 19. J Fam Pract. 2002 May; 51(5): 425-30. 20. Phytother Res. 2007 Mar; 21(3): 199-209. 24. Arthritis & Rheumatology. 1993, Sept; 6 (3): 156–166.